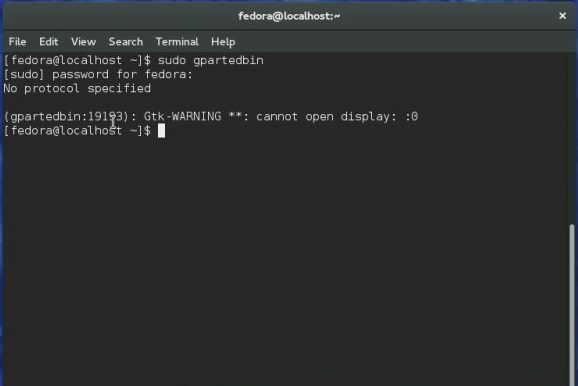 Today’s task list involved installing Fedora 25 (yay!) on my new computer and reformatting some hard drives to use as backup disks. The install was fine however I couldn’t seem to get gparted started (poet / know it). 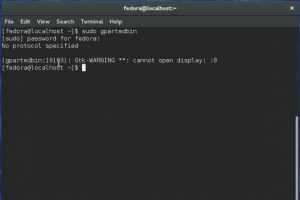 Gparted is the tool I find most useful for dealing with hard drives, partitions etc, but apparently it doesn’t work as usual now we have the wayland desktop. I don’t really know why this has happened and really think it should not have been allowed to happen, gparted is an important and useful tool… Anyway, a useful post by mfleetwo on the gparted forum got me sorted. 1) Do not use Wayland. Instead select either “GNOME” or “GNOME Classic” at the login screen. I went for option two and it worked great!